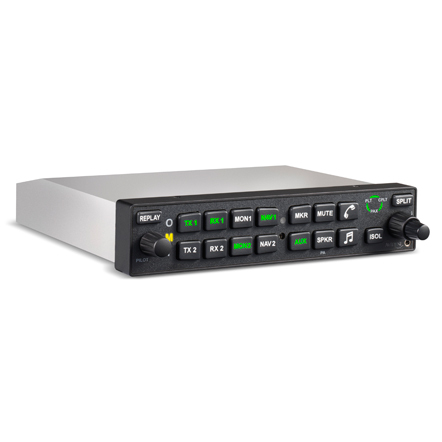 Avidyne’s continual commitment to its ‘Flying Made Simple’ motto is clearly demonstrated in the new AMX240 audio panel, a part of a full-line plug-and-play avionics stack. 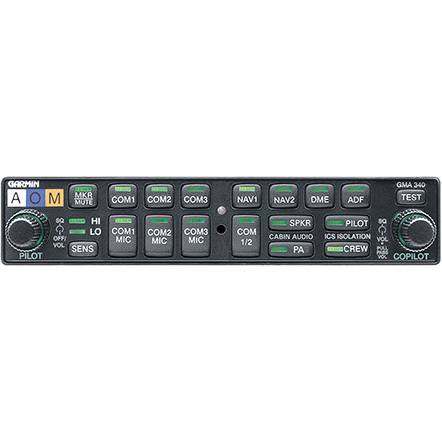 The AMX240 is a slide in replacement for the GMA340 and PMA8000 series audio panels, and comes complete with many easy to use performance enhancements including front panel inputs for music and mobile phones, and dedicated knobs for Pilot, Co-pilot and Passenger intercom volumes. Large LED backlit buttons featured on the AMX240 are easy to read and operate, providing a simple means to select an appropriate mode, as well as the ability to see and clearly understand your current intercom and audio configuration with the barest glance. 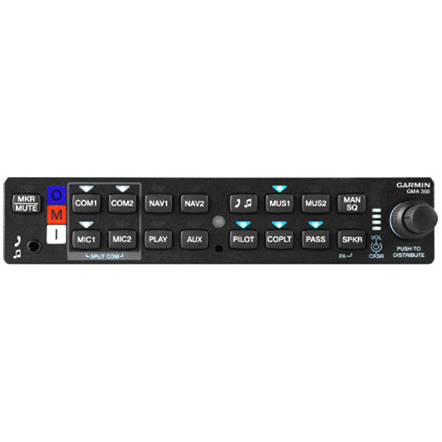 This fully featured audio selector panel comes complete with pilot selectable six-place intercom system featuring voice activation, fully integrated Marker Beacon receiver, Bluetooth connectivity, and public address (PA) functionality. 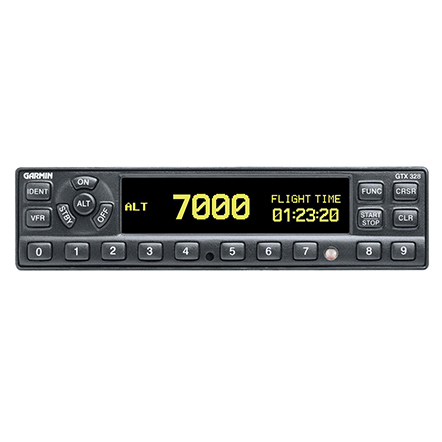 A split button also adds the ability for the pilot to transmit on Com 1 as the co-pilot transmits on Com 2, and a dedicated Replay button offers a useful ‘say again’ repeat of previous ATC communications. 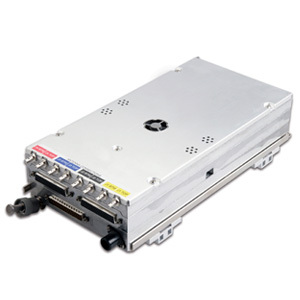 Avidyne’s AMX240 is designed to perfectly complement the existing Entegra Release 9, along with the other new Plug & Play avionics, the IFD540 GPS/NAV/COM and the AXP340 ADS-B Mode S Transponder. As a great option for upgrade as well as a new installation, why not contact RGV Aviation now for additional information about fitting the AMX240 to your own general aviation aircraft.